My old sensei, years ago, musing over a glass of bourbon. "If team member involvement is high, Pascal-san, accidents, defects, lead time and cost are low. But if involvement is low..."
So it proved at our old Toyota plant. In fact, I proved it to myself through scatter plots and ANOVA. 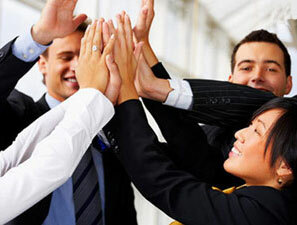 Engaged employees is the Holy Grail in most endeavours. The exception is, perhaps, monopolies or oligopolies, who for a time can run roughshod over their employees and customers. But even "all-powerful" monopolies like the Soviet Union -- or the National Football League -- have their day of reckoning. (As for the latter, will the Packers-Seahawks fiasco prove a turning point? Will enough fans say enough? In any event, if we accept my sensei's premise, Job One of the leader is engaging team members. Or, as my sensei put it, "How will you motivate team members, Pascal-san?" I've been mulling that one over for decades. Purists may cavil: "Leaders cannot motivate, only de-motivate." I grant their point but it makes little difference to the practicing leader. Formulate the question as you will. Everybody feels that this is "my process, machine, team, production line, site, product, customer." Everybody is fully alive and connected to everybody else. To paraphrase W.B. Yeats, the best are full of passionate resolve. Thank you for a really inspiring blog. In our factory in western New York we have found exactly what you say. If our people are involved we do just great. But things go south pretty quick if they are not involved.